It's a terrible term to use for what I'm actually describing, but it is the most reasonably appropriate term on hand. When referring to comfort zones in this case, I am specifically talking about players' propensity to play similar characters in similar ways across multiple adventures. In any group that has been playing for a while, people naturally fall into a regular role. A player may begin to play the same or similar classes across multiple modules. They may choose characters that seem to speak and behave exactly as the previous or several previous characters. In previous groups I have known one player to build fighter after fighter, almost exactly the same way for over a year. That amounted to more than ten different characters, each one almost indistinguishable from the last. This is an extreme case, yes, but it illustrates my meaning very well. It's my opinion that an unvaried group is a bored group. It is within a DM's power and responsibility to create an exciting and dynamic experience for the players. In cases where a player has fallen into a character rut, it's important to address the issue. Institute rules governing how often players can play the same class; talk to the player or players about a different class; randomly assign classes to players. There are numerous ways to break the cycle of class ruts. There isn't a player out there that hasn't fallen prey to this habit. Many of us aren't even aware of the behavior even while in it's thrall. Every player wants to be a productive member of the party, but it's important to switch up roles within the group to allow players to grow and to keep the experience fresh. To the same effect, it's also vital that the characters' personalities are not forgotten. Too many time, I've built a character with specific abilities or capabilities in mind, only to end up with a nameless and featureless character. Personality, history and behavior are very important in making your games more entertaining for everyone involved. I have one primary rule when it comes to this. If I can't make at least five significant distinctions between my new and previous characters personality, I start over. This may be a bit too extreme for some, so perhaps start nudging your stubborn player with something lighter. 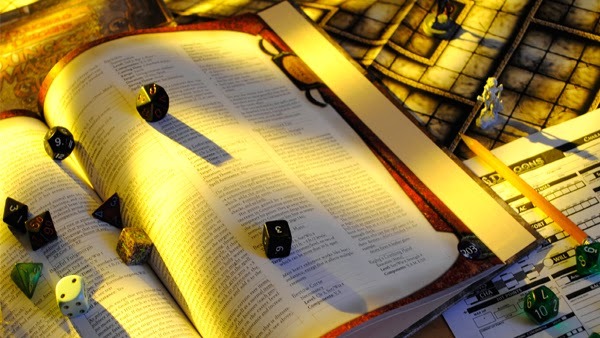 The background traits in Pathfinder are great tools for constructing interesting and varied backstories. By asking each player to pick one or two before beginning (many of Paizo's adventure paths recommend this already) you can add a lot of variety to your games.